Never get stuck in the snow again with our 24/7 snow and ice management. When the seasons change, and our landscape turns to winter, All Seasons Outdoor is prepared to provide our customers with the best year round service. Our familiarity with your site, on the job experience, and professional equipment allows for on time, efficient snow removal service. We offer seasonal contracts with flexible arrangements for snow removal. Clear snow from your driveway, sidewalks, and entryways. Our experienced snow crews work while you sleep to ensure timely service. Our customers enjoy the same high service standards most other companies reserve only for commercial accounts. Clear snow from your parking lot, sidewalks, and entryways. We are on call 24 hours a day, 7 days a week. So when it snows, we're there for you. With our state-of-the-art equipment and professional team, we are capable of clearing lots quickly and efficiently. Clear snow from your driveways, roadways, and sidewalks. We strive to have your property cleared as soon as possible. Keep you tenants happy and safe. 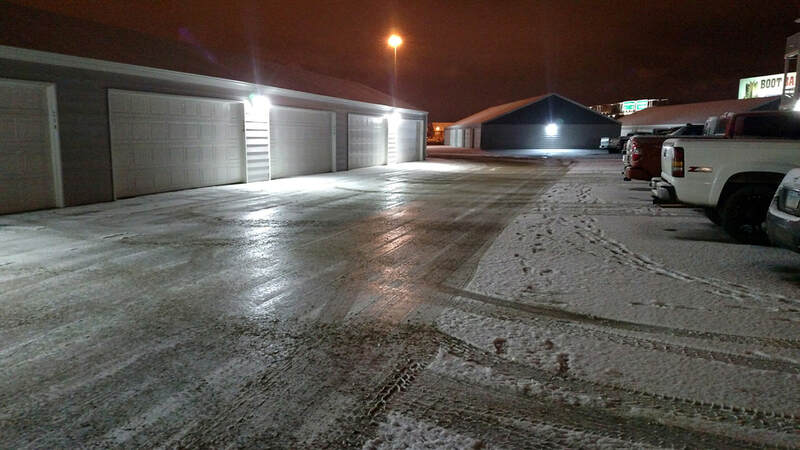 Keep your driveway, parking lot, and sidewalks free of ice for you and your customers safety. Our ice melt products work down to -50º F and are guaranteed to not re-freeze. If you have limited space for snow piles in your parking lot we can haul it off site.